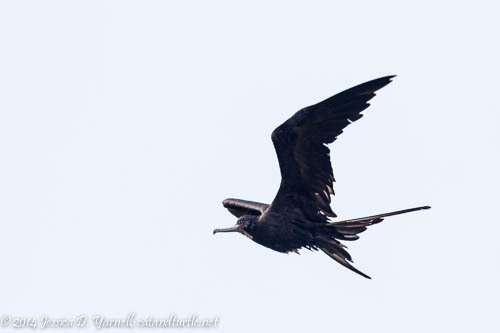 This is a juvenile Magnificent Frigatebird. His head is all white. Females have a white tummy but a dark head. 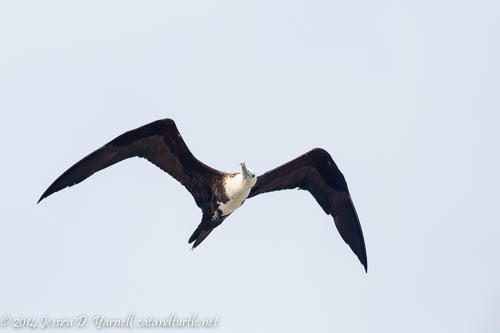 I love how this bird is looking down as he flies overhead. I wonder if he was watching the happy photographers below? Click, click, click! ⟵Meet My Friend Bob – Bobwhite!